The list of registered players is growing steadily. Already 32 players from 17 different clubs are eager to play for one the BATC teams to show off their baseball skills. Interesting are the registrations from Dutch baseball academy players, as well as alumini and future participants of the World Childrens Baseball Fair. With these players around, the level of play will be challenging. Making new baseball friends is also guaranteed with such a well spread entry list. The tournament organisation is asking for international registrations. Are you passionate about baseball, and are you born after may 1 of 2000, register for the tournament! Players from Germany, France, Italy, UK, Belgium, Eastern Europe and North America are more than welcome to join at this great baseball event. Visit www. batcbaseball.eu for more information. There are various options to accomodate you and your parents. 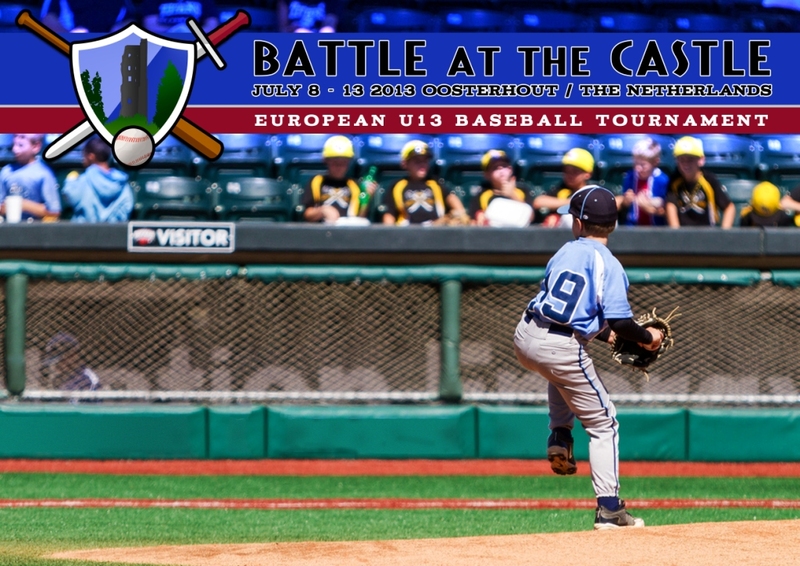 The first edition of the Battle at the Castle U13 baseball tournament is held in Oosterhout, The Netherlands. It lasts 6 days from july 8 – 13 this summer and is unique in its kind.